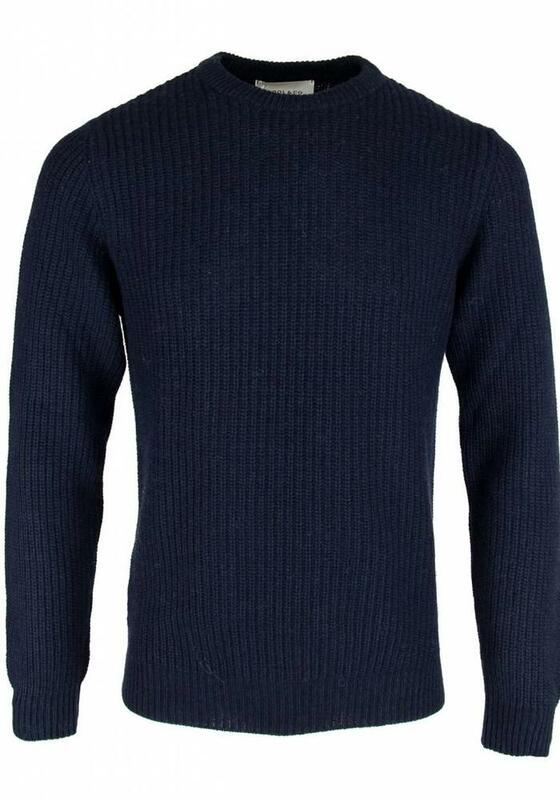 Wool & Co. men's jumper in navy blue. 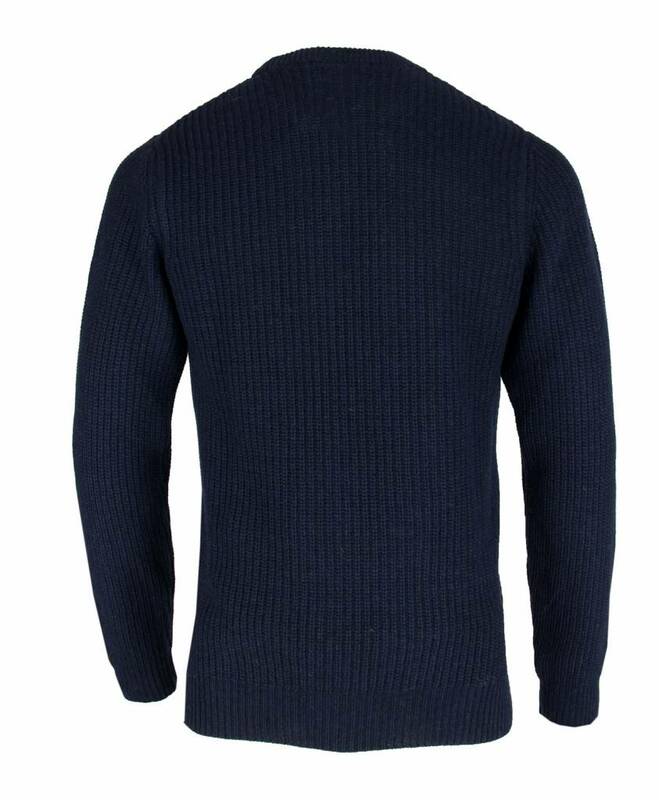 The jumper is made of a nice ribbed wool blend with merino wool and cashmere. 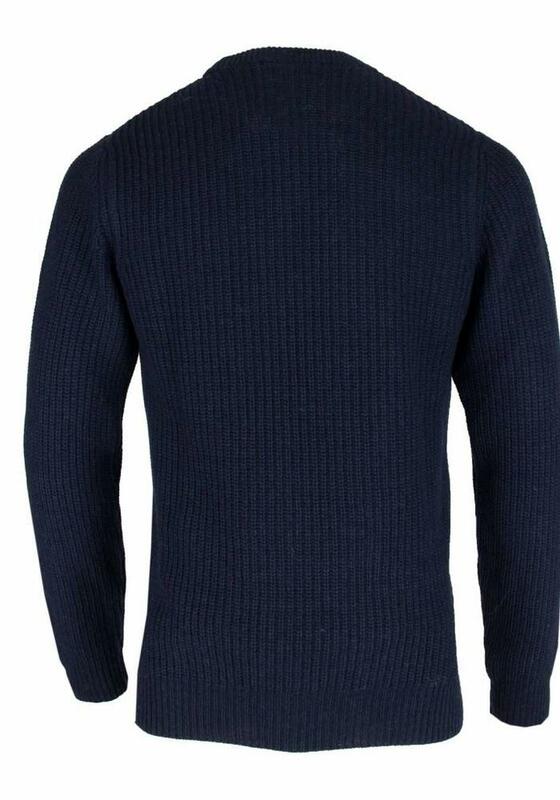 The sweater has a round neck and can also be combined nicely with a shirt underneath. 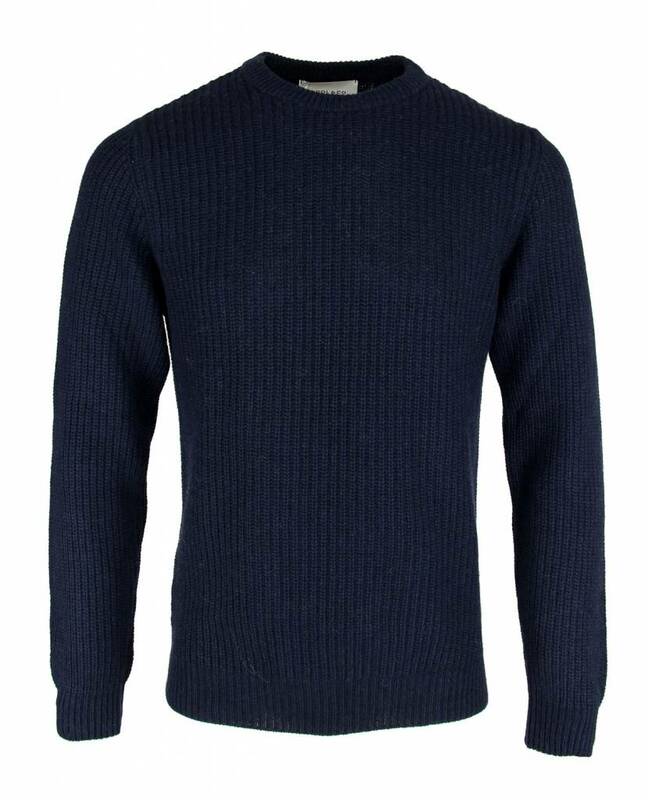 The Wool & Co. WO 4056 Navy is made of 45% merino wool, 25% viscose, 25% polyamide and 5% cashmere.